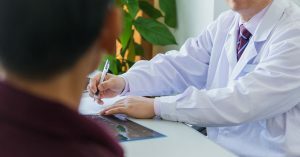 Patient Safety Category Archives — Massachusetts Injury Lawyer Blog Published by Boston, Massachusetts Injury Attorneys — Breakstone, White & Gluck, P.C. A Boston paramedic believed to have been tampering with painkillers may have exposed 57 people to blood-borne illnesses in 2011. The city began notifying the potential victims this weekend, the Boston Globe reported. The paramedic was relieved from his duties at Boston Emergency Medical Services on Sept. 6, 2011, when the alleged tampering with vials of both painkillers and sedatives was discovered. A total of 64 patients may have been exposed, but seven died after being transported to local hospitals. Their deaths are not believed to be have been related to the alleged medical negligence and drug tampering. The city will follow up with letters to the potential victims and offers for free medical tests to determine if they were exposed to any infectious diseases. The drugs were allegedly tampered with during a six-week period in the summer of 2011. The city continues to investigate the paramedic’s alleged actions. At this point, city officials say they do not know how the individual may have tampered with the medications, which are in a liquid form and injected. No criminal charges have been filed against the paramedic. The news follows another case of alleged medical malpractice involving drug abuse by a medical professional in New Hampshire. In July, a medical technician named David Kwiatkowski was arrested. Kwiatkowski has been infected with hepatitis C since at least 2010 and is accused of exposing 30 patients, some at Exeter Hospital in New Hampshire, with the illness. The Food and Drug Administration (FDA) and the Joint Commission are looking to prevent cases of alarm fatigue, a type of medical negligence in which doctors, nurses and staff fail to respond to medical alarms, reported The Boston Globe. In September 2011, the Globe reported that between January 2005 and June 2010, at least 216 deaths nationwide were linked to alarms on patient monitors that track heart function, breathing and other vital signs. At least 119 other patients have died since 2005 in cases involving warning signs on ventilators. In many cases, doctors, nurses and other medical professionals failed to respond because of so-called “alarm fatigue,” a state where they had grown desensitized to the numerous alarms they heard on a hourly and daily basis, many often false. In some cases, nurses and staff have turned the medical alarm off or the volume down. The FDA, which is responsible for reviewing medical devices, is now providing its reviewers training on alarm standards and safety, the Globe reported today. The reviewers evaluate 4,000 applications per year from manufacturers. An FDA official told the Globe he wants to make sure new products which are approved are fundamental to patient care and track what a company claims. 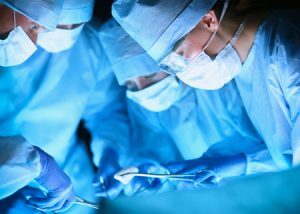 The Joint Commission, the national organization that accredits hospitals, has also made preventing this form of medical negligence a top priority. The commission drafted a national patient safety goal on alarm management last year. The commission’s advisers want more specific recommendations. The organization plans to survey 4,500 hospitals and 1,000 long-term facilities to develop those more detailed recommendations to prevent this medical negligence. Several Massachusetts hospitals are attempting to implement patient safety changes on their own after being subject to medical malpractice lawsuits in alarm fatigue cases. After settling a medical malpractice lawsuit in April 2011, Massachusetts General Hospital in Boston disabled the off switches on 1,100 cardiac monitors, installed alarm speakers and educated nurses about alarm fatigue. UMass Memorial Medical Center in Worcester saw two wrongful deaths over four years due to failure to respond to patient alarms, according to the Globe in September 2011. The hospital responded by holding monthly drills for medical staff, arranging for seminars for hospital nurses and started sending low-battery warnings to nurses’ cell phones and pagers for life-threatening changes in patient conditions. FDA Working to Trim Alarm Fatigue, The Boston Globe, March 26, 2012. 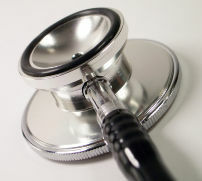 Medical Malpractice, Alarm Fatigue Get Attention, November 28, 2011. The National Patient Safety Foundation (NPSF) is sponsoring its annual Patient Safety Awareness Week from March 4 to March 10. This year, the non-profit Boston organization is focused on increasing awareness about ongoing industry safety efforts and ways both health care professionals and patients can advance them to prevent injuries from medical errors. Physician Profiles Database. You can search for a doctor’s safety record in the state’s Physician Profiles database. The database provides information on criminal convictions, medical malpractice payments and board disciplinary actions during the past 10 years. Click here for the Physician Profiles database. Online Research. There are many reputable websites which provide information on medical conditions, procedures and hospitals. One database is Medicare’s Hospital Compare, which compiles of a wide range of data, including patient surveys and hospital death rates compared to the national average. Click here for the Hospital Compare database. Patient’s Advocate. Massachusetts law affords you the right to have a patient’s advocate with you at medical appointments. 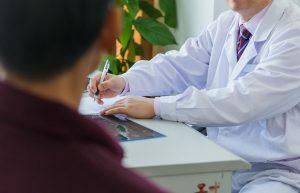 Having a patient’s advocate allows you to focus on communicating with the medical professional, while your advocate writes down important treatment instructions, the doctor’s response to your questions or ask their own questions when they observe unusual things. Medical Records. You have an absolute right to obtain your medical records in Massachusetts. 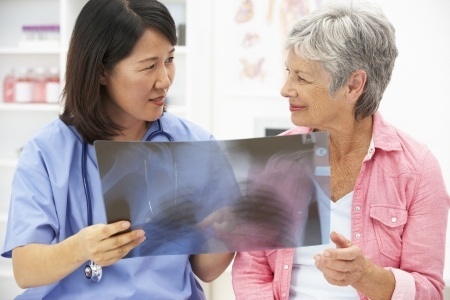 You do not have to disclose your reason for seeking your medical records. But you can expect to be charged for photocopies so ask for an estimated fee in advance. Ask Questions Before Surgery. 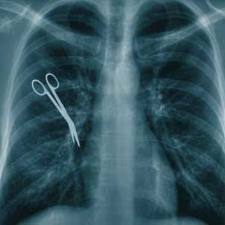 Talk to your surgeon before the day of the surgery and ask questions at the hospital. Questions may include how does the hospital sterilize its equipment and does the medical staff utilize a written patient safety checklist to make sure they do not miss a step. Avoiding Medication Errors. Medication errors can happen at the hospital or your regular pharmacy. Before you leave the pharmacy, check the drug name, dose and open the bottle to make sure the medications are imprinted with the drug name and strength. If not, ask the pharmacist to show you the bottle from which medication was dispensed. Pharmacy Safety: Consumer Fact Sheet, National Patient Safety Foundation.